Apple has provided participants of its developer beta testing program new builds, with the third betas of iOS 12.1, tvOS 12.1, and watchOS 5.1 arriving one day after the latest macOS Mojave beta. Developers who have signed up for the testing program can use the latest builds after performing an over-the-air update on their enrolled devices, or can follow the instructions from the Apple Developer Center. Public beta versions typically arrive a few days after the developer betas, and can be acquired from the Apple Beta Software Program website. The third iOS 12.1 developer beta has build number 16B5077c, replacing the second build's 16B5068i. So far, the iOS 12.1 beta seems to be a minor update, with the main change being the inclusion of support for Group FaceTime. A few minor changes have also been found in the code, such as horizontal Face ID support, which will likely be useful for new iPad models rumored to land later this fall. Apple has also teased the addition of 70 new emoji that will be arriving in iOS 12.1, which it has included in the betas. Details about the tvOS 12.1 beta contents are unknown, but version 12.1 is likely to consist of bug fixes and performance improvements, rather than new features. The third beta of tvOS 12.1's build is number 16J5593c. The second beta was build number 16J5584c. 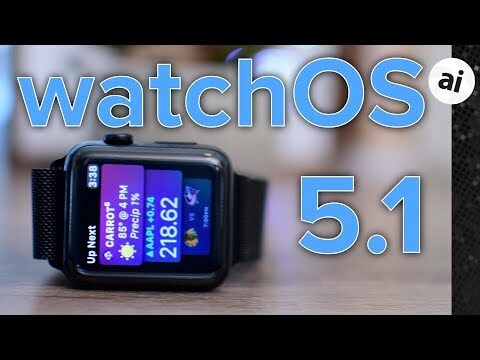 Apple's third watchOS 5.1 beta bears build number 16R5577c, up from the first developer beta build 16R5568d. Much like iOS 12.1 and macOS 10.14.1, there is relatively little known about what's included in each beta release. For watchOS 5.1, it gains the ability to answer Group FaceTime calls on the Apple Watch, with it able to handle the call via audio until the user can access an iOS device to continue in video. AppleInsider, and Apple itself, strongly advise againstinstalling beta releases on mission-critical hardware, due to the possibility of data loss and other issues. Those interested in testing the betas out should use non-essential devices, and to keep backups of any important data before installing or performing updates. 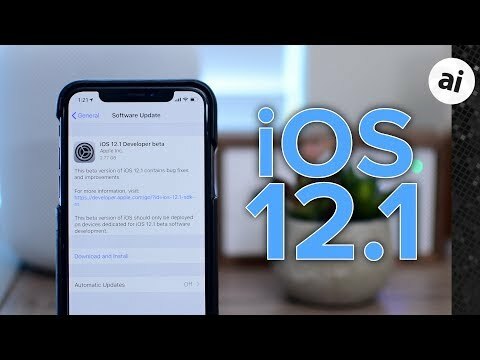 Update: Public beta versions of iOS 12.1 and tvOS 12.1 were also made available on Tuesday. Anyone having an issue where edited Live photos synced to MacOS Mojave via usb are not syncing back to their iPhone Xs iOS 12 through iTunes (Live within the MacOS photos app). The picture sync's just not the live feature, non edited live photos synced just fine. Not sure if this is limited to Mojave, iOS 12, new iTunes or the new iPhone Xs. I have tried un-syncing and re-syncing, Repairing photo library, rebuilding iPod photo cache with the the photos library, and restoring my iPhone and still have the issue. Thanks!! I have the public beta version of iOS 12.1 build (16B5059d) on my iPhone XS Max. I had the same build on my 9.7 inch iPad Pro. I was able to update my iPad Pro to the current build (16B5068i), and the third build (16B5077c) showed up as available for download to my iPad, but neither build has appeared on my iPhone. I have tried rebooting my phone, as well as clicking the automatic update button, but it still will not show up on my XS Max. Any clues to what could be the issue? Thanks to any and all who might be able to help! I updated to the 3rd public beta this morning. I discovered that beta 2 had a weird ScreenTime syncing issue on Sunday after looking at my weekly ScreenTime report. I found that the limits that I had set up on my iPhone were not being acted on from my iPad, and I also found that the total device usage differed when viewing from my iPhone vs the iPad. For an adult who only uses the feature to be more aware of time wasted on devices, this is no big issue; for parents who may be using it to keep track of their kids' usage, this bug may be more irritating. I hope this beta fixes it.